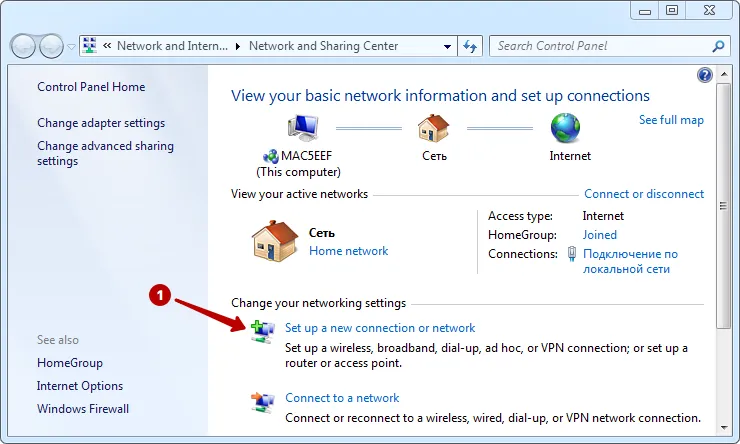 Click to Set up a new connection or network. 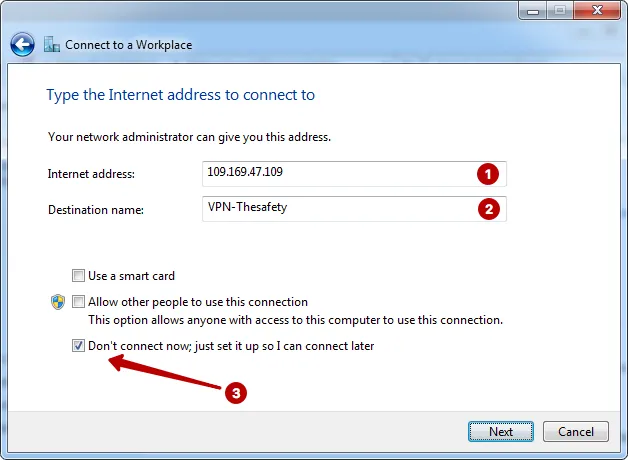 Click to Conect to a workplace. 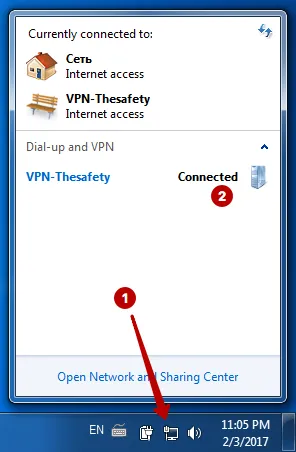 Click to Use my Internet connection (VPN). In the "My Account" view list PPTP VPN servers and Username and Password VPN. 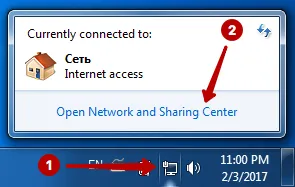 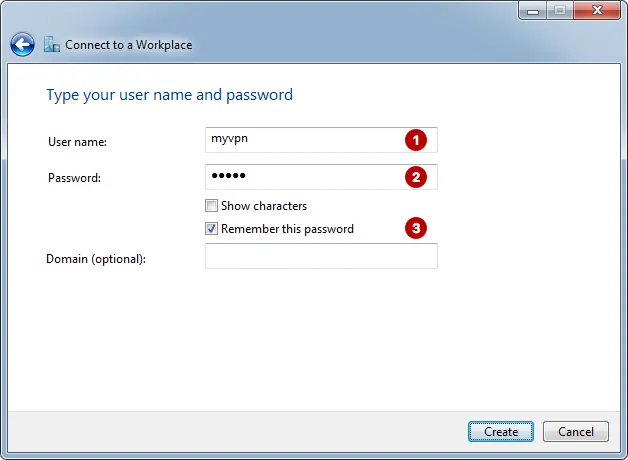 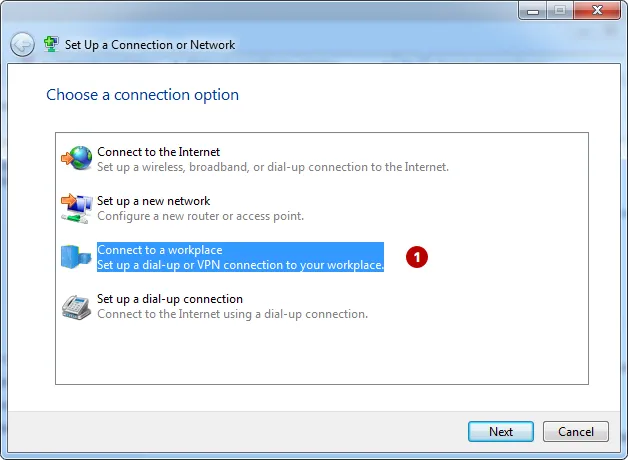 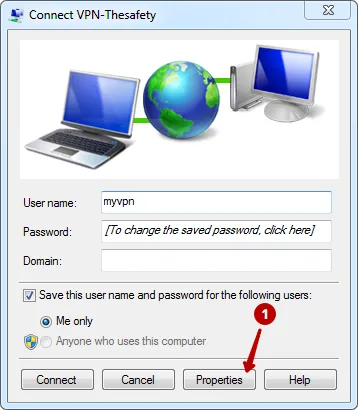 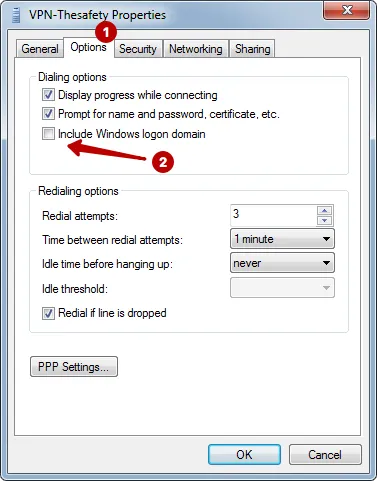 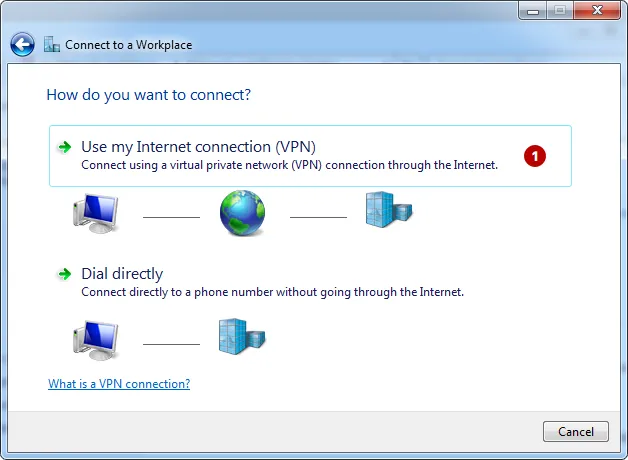 Select Connect to PPTP VPN server in Windows 7. 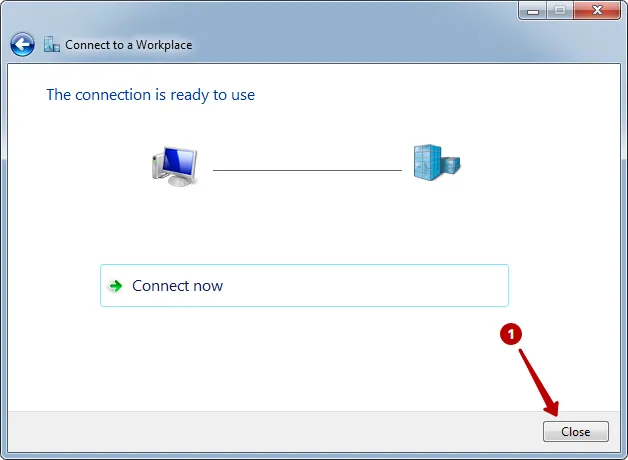 Disable Include Windows logon domain. 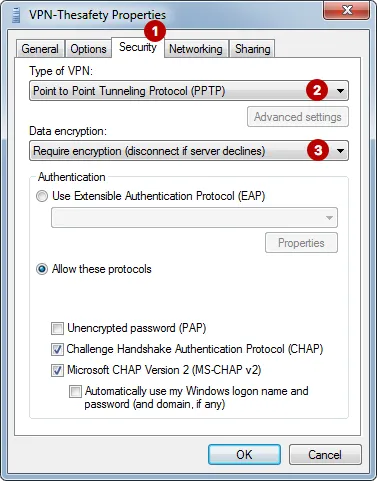 Select the PPTP protocol and encryption mandatory. 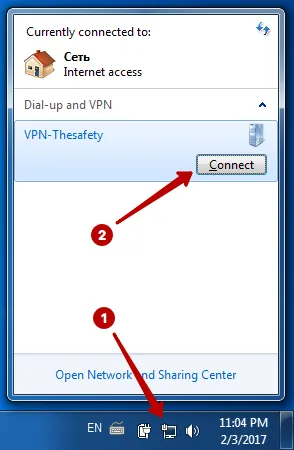 Connect to PPTP VPN server in Windows 7.